Even though the weather was cold and rainy, the Belly Up in Solana Beach was warm with tropical vibes and disco Monday night. 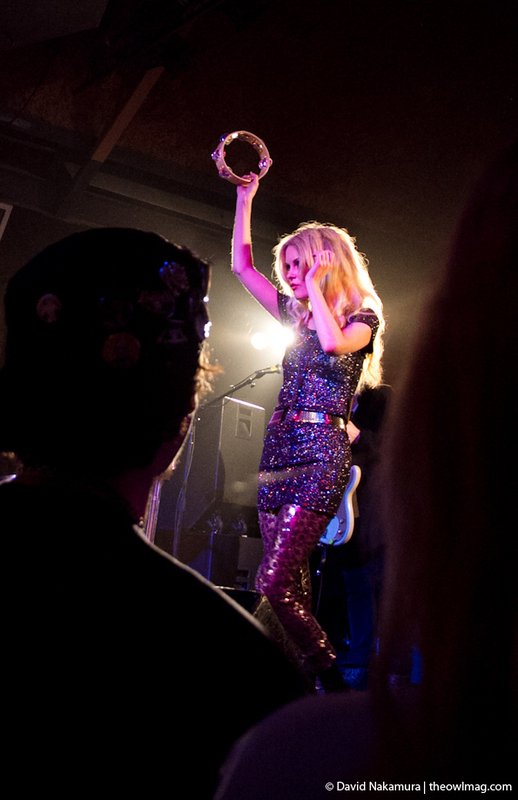 Danish band The Asteroids Galaxy Tour headlined with up-and-coming group Vacationer. 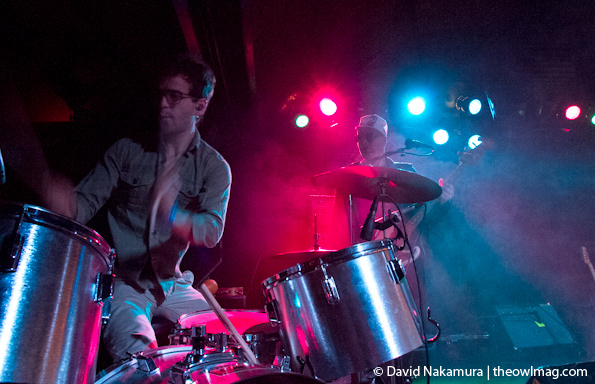 Vacationer is a three-piece band from the east coast. For such young guys, they were extremely practiced; very tight and confident. 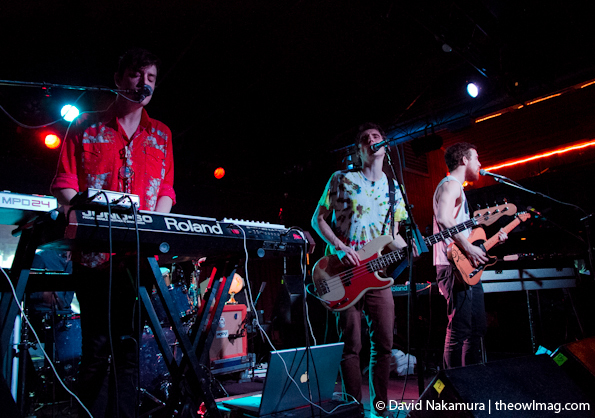 Vacationer self-describes their sound as “Nu-hula”, similar to Dirty Gold, Toro y Moi, or Wavves. They definitely had that hazy, California feel, and the crowd loved every minute of it. With projections of beaches and sunsets behind them, the band was decked out in tie-dye and Hawaiian shirts. 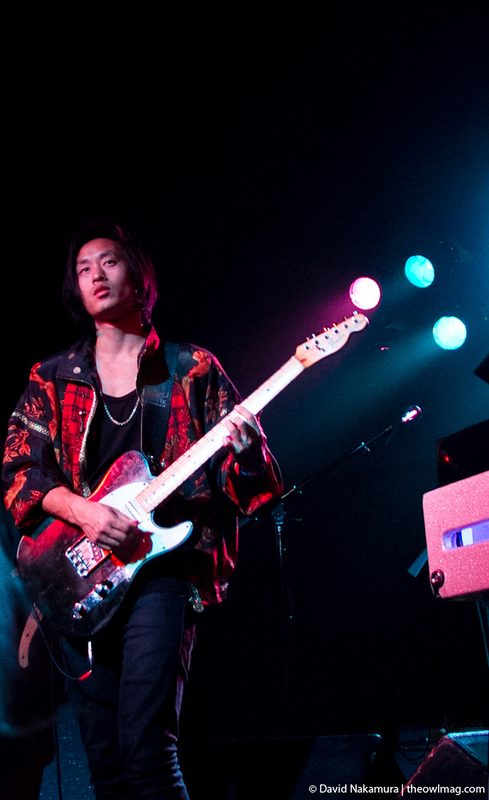 One of their stronger songs, “Trip” got the audience swaying and chilling out to the tropical groove. Vacationer seemed kind of an odd opener for a disco-funk band from Denmark, but they put on a solid performance, and are worth checking out for your next “by-the-pool” mixtape. 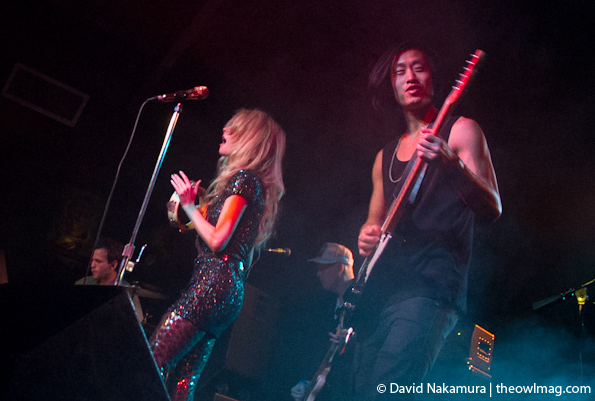 After a very precise set-up, The Asteroids Galaxy Tour took over the stage. During the entire set-up, my eyes were searching for horns. I hoped to God they brought their horns. And they did. They brought every kind of funk possible. Full drum set, bass, saxophone, trombone, flute (! ), and tambourine. 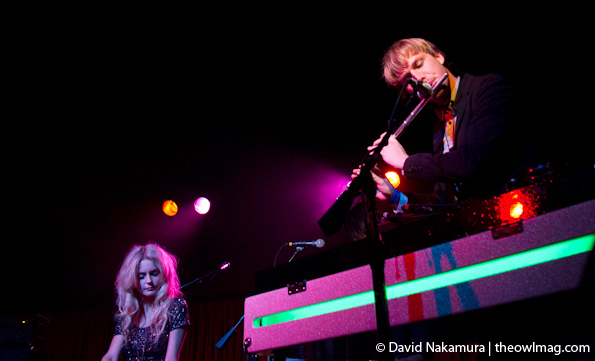 The Asteroids Galaxy Tour is a six-piece band led by the vocals of Mete Lindberg. Upon entering the stage she came out of the shadows decked out in sequins. Everywhere. Right then, I knew we were going to hear some disco-funk. Where there are sequins, there is disco. 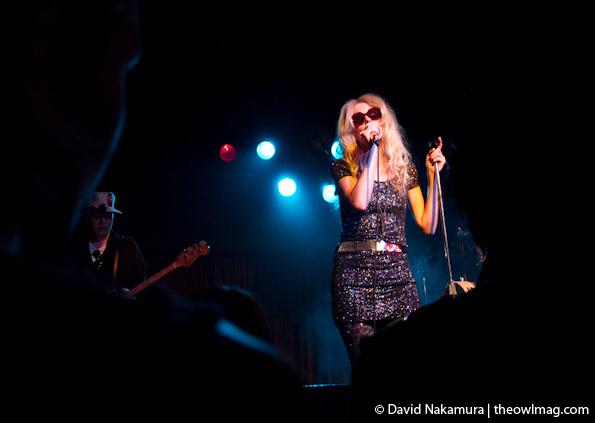 The Asteroids played some of their standards but mostly focused on their second album, Out of Frequency, which was released on January 31. They played catchy tracks such as “Major,” and “Out of Frequency” (that’s where the flute came in–and it was awesome). They also played an extended version of “Suburban Space Invader,” which turned out really cool and retro-sounding. The loud percussion and the intense horns absolutely made the show. 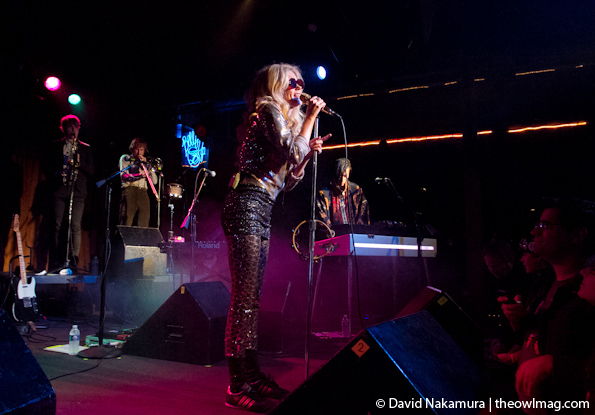 Every body in the venue was swaying and rocking out to the high-energy performance of The Asteroids Galaxy Tour. There was a feel-good, pumped-up feeling that could have gone on all night. I left wanting to pull on my gold hotpants and roller skates and skate around the rink to some more from The Asteroids Galaxy Tour. For more out of this world photos click here.